A Shropshire law firm has been boosted by the findings of its client satisfaction survey. 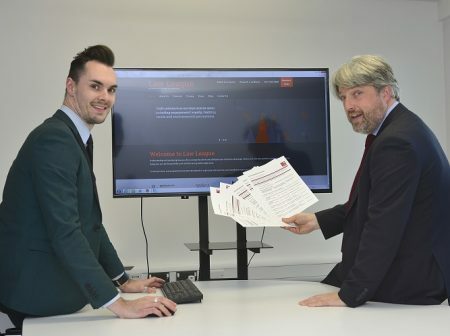 Shrewsbury-based Wace Morgan Solicitors has just reviewed the results from LawNet, a network of independent law firms across the country, promoting excellence. LawNet measures performance through detailed questionnaires sent to all clients over a 12 month period. “Our annual results show that almost 600 surveys were completed by clients, who gave us a 98% satisfaction rating,” said Diana Packwood, managing partner of Wace Morgan, which has its head office in St Mary’s Street, Shrewsbury. “The report compiled by LawNet shows that in the last financial year we scored highly in all areas covered by the questionnaires, excelling in most sectors. “We are delighted with the findings. Our team always aims to provide the highest quality, good value professional services in a friendly and efficient manner and it is very pleasing to see that our clients feel that we are succeeding,” Diana added. The surveys showed that 94% of people were very satisfied with their legal representative at Wace Morgan, 95% were very satisfied that their needs were understood, 95% felt very satisfied that communications were clear, 89% were very satisfied with speed of response and 97% were very satisfied that staff were friendly and approachable. Excellent results were also seen in a new ‘review solicitors’ website, with all clients who responded giving the firm five star ratings in all sections.